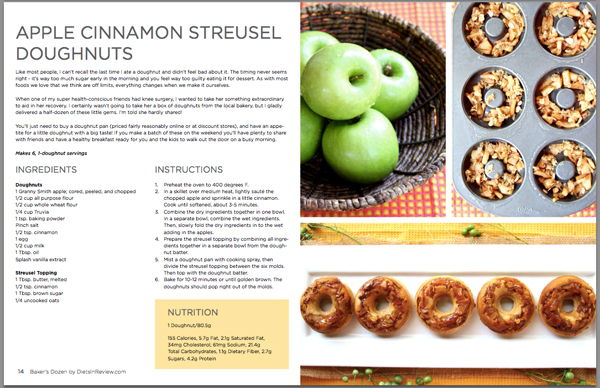 Get a taste of what’s inside Baker’s Dozen with a preview of our Apple Cinnamon Streusel Doughnuts. 2. In a skillet over medium heat, lightly sauté the chopped apple and sprinkle in a little cinnamon. Cook until softened, about 3-5 minutes. 3. Combine the dry ingredients together in one bowl. In a separate bowl, combine the wet ingredients. Then, slowly fold the dry ingredients in to the wet adding in the apples. 4. Prepare the streusel topping by combining all ingredients together in a separate bowl from the doughnut batter. 5. 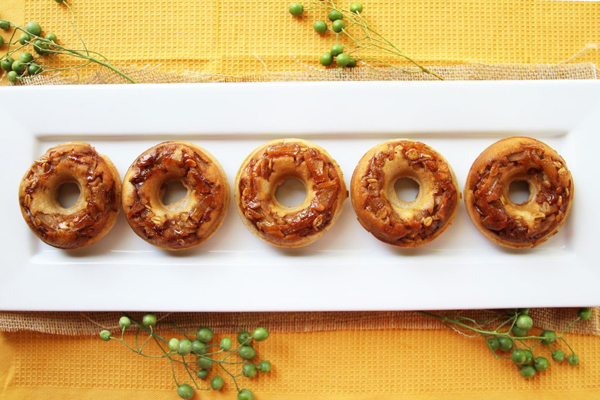 Mist a doughnut pan with cooking spray, then divide the streusel topping between the six molds. Then top with the doughnut batter. 6. Bake for 10-12 minutes or until golden brown. The doughnuts should pop right out of the molds. Ingredients like Truvia and Chobani made it easy for us to make healthful, great tasting food with readily available ingredients. 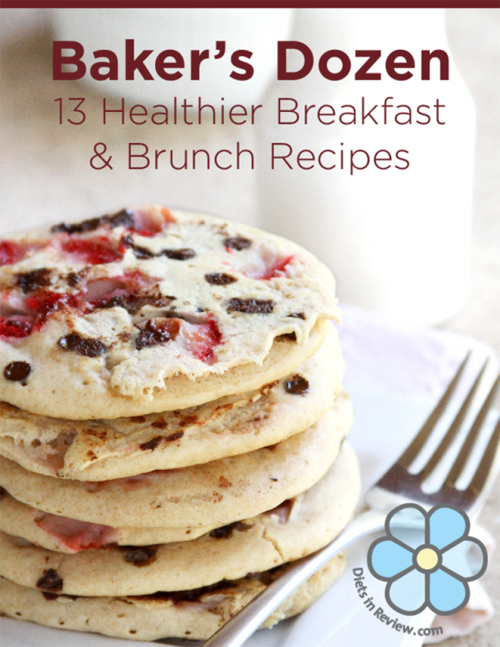 Buy Your Copy of Baker’s Dozen Here for 99 Cents!